One of America’s top dermatologists, Dr. Jody Alpert Levine is the Director of Dermatology at Plastic Surgery & Dermatology of NYC, a leading medical and aesthetic practice in New York City. Dr. Levine is an expert in dermatology and dermatologic surgery, specializing in medical and surgical pediatric dermatology, as well as adult cosmetic dermatology and laser surgery. Renowned for her keen diagnostic sense and comprehensive medical expertise, as well as an artistic eye, skilled hands, and wonderful bedside manner, it is no wonder that Dr. Levine is internationally recognized and one of the most respected dermatologists in the country. With an intuitive eye and deft touch, Dr. Levine helps patients achieve the most beautiful and natural-looking results. Her exceptional talent with lasers, BOTOX®, cosmetic injectables, surgery, liposuction, hair transplant, and cosmeceuticals has created a wait-list of patients from around the world who trust only her handiwork. With extensive knowledge of the most advanced aesthetic technologies and techniques, Dr. Jody Alpert Levine is a beauty media favorite frequently quoted by national magazines, newspapers, and television programs. She has been recognized yearly as a Castle Connolly Top Doctor and a New York Times Magazine Super Doctor. A well-respected industry expert, Dr. Levine has served on the medical advisory board of Johnson & Johnson and continues to be a medical advisor for Parents magazine. 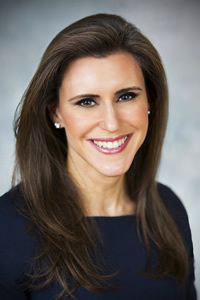 She has served as a consultant to Dial, Algenist, Eucerin®, Mustela, and Cetaphil®. She is currently the brand dermatologist for Gillette® Venus® razors as well as a luminary for Sciton and Cynosure® lasers. Dr. Levine has also written scholarly papers in prestigious medical journals, including Journal of the American Academy of Dermatology and Journal of the American Medical Association. Prior to co-founding Plastic Surgery & Dermatology of NYC, Dr. Levine worked in private practice in Manhattan, served as Head of Pediatric Dermatology at Montefiore Hospital in the Bronx, and was the Medical Director of a Brooklyn Medi-Spa. Currently, Dr. Levine is an Assistant Clinical Professor of Dermatology at The Mount Sinai Medical Center, as well as an Associate Adjunct Surgeon at The New York Eye and Ear Infirmary. She is a member of the American Academy of Dermatology, the American Academy of Pediatrics, the American Society of Dermatologic Surgery, and the Society for Pediatric Dermatology. Dr. Jody Alpert Levine resides in Manhattan with her husband Dr. Elie Levine, a leading Plastic Surgeon, and their five children, Skyler, Jasmine, Caitlin, William, and Jack.